What is a Financial Nirvana Mama? – ~EARN. INVEST. REPEAT. What is a Financial Nirvana Mama? noun [variant spelling momma]; a consultant, entrepreneur, real estate investor & unquenchable life long learner dedicated to supporting you in your financial journey. …And her name is Tracy Ma. Other than being an accomplished engineer, wife and a mother of 2, Tracy hosts the blog at FinancialNirvanaMama.com. I had the pleasure of being interviewed by her a few weeks ago and with an extremely busy couple of weeks I’ve fallen behind on my blog writing. Now that my interview post is live on her page I’m taking a cheat week on posting and reposting her interview. Enjoy! I am so excited to introduce you to Jay Helms, from Gulf Breeze, FL, a husband, a father, corporate america minion, and a side hustling real estate investor juggernaut. A cool fact about him – he met his awesome wife at a reality TV show, ‘The Catch’ in Costa Rica. When he’s not with the kids and his awesome wife – he writes on BiggerPockets and his own blog – https://helmsrei.com. His most recent accomplishment includes buying a 42 unit apartment complex for $700K and with $200k renovation budget. I wanted to interview Jay, a busy father, who juggles a career, life, kids and real estate investments to inspire you to stop settling in life, to empower you to design a life that is purposeful and meaningful to you. Make you think twice BEFORE throwing your hard earned money to a shoddy property deal even if it looks like a great deal. Without further adieu, here’s his interview. 1) How did you get started investing in real estate? We really started with the purchase of what we call The Little Yellow House. 1 bed / 1 bath 600 sqft home. Bank foreclosure in a part of downtown that was starting to see revitalization. Purchased for $22k, spent $9k in rehab, rented it the month it was ready for $600/month. It stayed occupied since we bought and we never thought we’d sell it but we did. Just last month for $50k. That property cash flowed $300/month and provided us a 77.5% return (when including the sale). 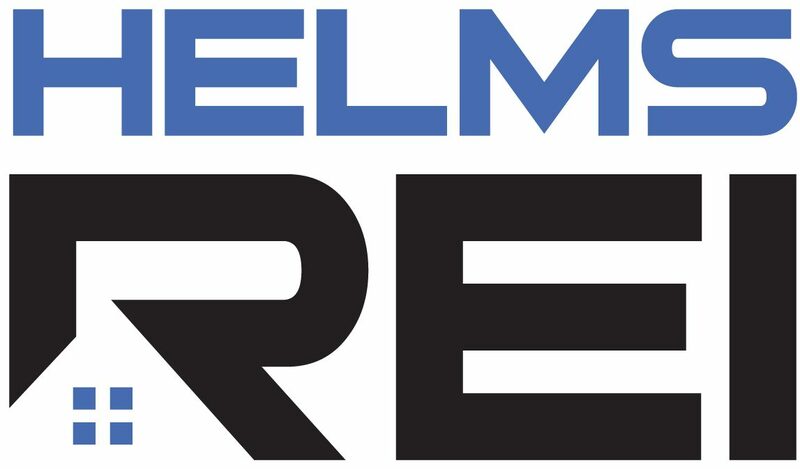 [ https://helmsrei.com/2018/02/24/we-will-never-sell-this-property-sold/ ] But, growing up, my grandparents, maw-maw & paw-paw, owned what they called a tenant building. It was 10-15 units and they lived in the house next door. Maw-maw kept the books, paw-paw was the handyman. So growing up, I saw them work this business. It didn’t hit me that I could follow in their footsteps until 2014 (30+ yrs later). Growing up around that environment gave me a sense of confidence that I could be a successful real estate investor – and unfortunately I didn’t recognize this until 2014 but at the time we purchased the Little Yellow house, we started tracking our net worth and reading a lot of books about building wealth. After a year and a couple more acquisitions we quickly saw how real estate was going to be able to exponentially grow our net worth…we were hooked. 2) What was your ‘aha’ moment that drove you to invest in real estate? 3) What drove you down the path of scaling your real estate investment business? My kids and my wife. Designing a lifestyle where I have more free time to spend with them. YEP!! Real estate investing is a great vehicle for designing your life aligned to you! But I highly recommend scaling according to your LIFESTYLE, a great model I coined for buying real estate. 4) Why invest in real estate versus other investment vehicles? I have found out Buy & hold just makes sense to me, think of path of least resistance. After our first 2 transactions, seeing the cash flow, see the net worth growth, I was hooked. In the past I have invested in stocks, they just didn’t work for me – Buy high, sell low and it’s not that I was just listening to Cramerica and acting on his actions, I’d spend a few hours each week learning about companies before I invested and I still lost money. 5) What are your top 5 tips for juggling life as I understand your wife is your business partner, your full time job and two kids under 4??!! Be ok with chaos! j/k My wife is my business partner, but she also runs her own home-decor side business, so having an understanding, hard working partner, someone who can support you but also be that voice of reason is the #1 tip I can provide anyone. Carve out anything and everything that doesn’t support your life goals. This includes time consumers (TV, social events, etc) and non-supportive or negative people. Be ok with things taking longer than they should. I tend to stress out when items or processes take longer than they should. Being married, having kids, not as fluid as before and that’s OK. You’re still taking a step toward your goals, just not as big and you’re bringing your beautiful family with you. And this is something I still struggle with and one of the reasons I love my wife as she helps remind me. Be ok with course corrections. 6) Did you have any former beliefs that you carried that helped or deter you away from real estate investing and what are they? Yes, I had some former beliefs that I had to change. A couple of years prior to investing we started adopting some of Dave Ramsey’s principles. We had everything paid off except for our primary residence, no credit card debt, no car loan, no student loan, only the house. We bought our first rental with cash but the next several were leveraged with debt and since then our net worth and monthly cash flow have dramatically increased. The most important thing that we acquired from Dave’s principles (and we still do it today) is we created and agreed to a budget. By doing so, we have less arguments over money, don’t feel guilty when we spend money and allows us to save for our next down payment. The question really came down to do we want to be debt free or do we want to live financially free? 7) What are your real estate investing rules when you look at properties – anything that would break your interest in that property when you visit it? 8) Do you have any scary stories to share and how were you were able to overcome during your real estate investing journey? YES! – a tax deed auction, person occupying the property was squatting in in for last 10+ yrs (owner was in prison). Turns out the occupant was not only stealing his mother’s disability checks to pay rent, but he was cooking meth on the property (class C neighborhood on a street full of kids). Leaned on my attorney to come up with the most cost effective way to remove him from the property, ended up demo-ing the property to the ground and placing a mobile on home it. Spent more than I budgeted, but still had a decent return, and cleaned up the neighborhood. 9) If you could waive a magic wand and go back in time, what would you have done differently before you starting investing in real estate? Work on developing my patience to acquiring assets and learn more about the cyclical market of the real estate industry. I had our false start in 2006 and if I would have done both of these things prior to investing we could have taken advantage of the valley in 2008-2009. 10) If you had a daughter or son whose 20 years old, what top financial advice would you give him or her to help them grow amazing in world of change? Wow, this is a great question….It is easier to expand your financial well being by utilizing other people’s money besides just your on, BUT when using other people’s money, always always, ALWAYS be moral, always always, ALWAYS be ethical and always always, ALWAYS look out for your partners and investors first. 11) What are your favorite or most insightful books that you recommend to help people on their financial path or real estate investing path or mindset that are not the typical mainstream books like rich dad or poor dad?